Why do you need pay-per-click (PPC) advertising? Most new patients start looking for a new dentist with a Google search. Pay-per-click advertising is an essential part of search engine marketing, and helps to ensure your site is visible to people searching for a new dentist. The top 4 or 5 search results are almost guaranteed to be a paid ad from your competitors. On a mobile device, the ads are the only results that you see on the first page. Do a search in Google for “dentist (or your dental specialty) + [your local area]”. If your practice doesn’t appear in either the ads at the top or the organic search results, you are losing out on a substantial percentage of the new patients. Make sure that you show up at the top when a new patient is looking by buying AdWords pay-per-click (PPC) ads. This screen shot shows the different types of search results that users see. In the past, most dental practices only needed to advertise in the yellow pages and the phone would ring. Now digital marketing is essential for dental practices because patients looking for a new dentist turn to Google first. 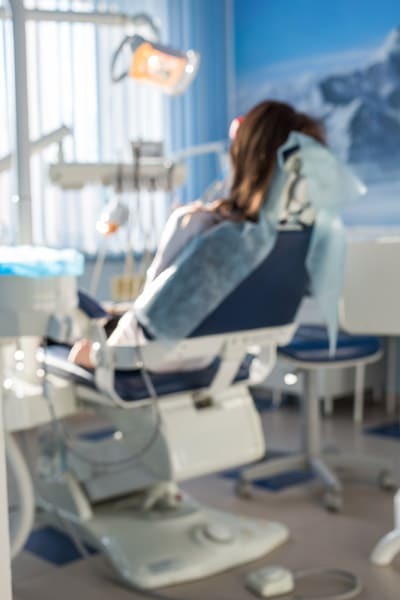 The bad news is that dental offices that haven’t been actively doing search engine marketing for the past few years are behind their competitors in new patient acquisition and digital marketing. Local dental practices that have been doing PPC have almost always found PPC to attract new patients, offering a positive return on investment. The good news is that the dental industry keywords (search terms such as “local dentist”) that PPC advertisers bid on are still affordable. Considering the value of a new patient to a practice, the cost of the keywords can be a bargain. Some local services like law firms and pest control are extremely competitive and cost per clicks are in the $50-100 range. The average dental practice should expect to spend between $2 and $10, depending on the competition in their geographic area. Contact First.Dentist for a free review of your local area for an estimate. The initial step in starting PPC is establishing a budget. 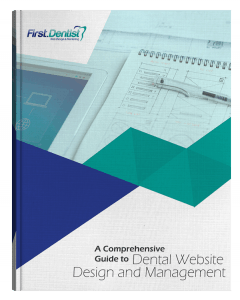 Most dental practices in larger cities with large patient bases can expect to spend at least $1000 per month to see a substantial increase in website traffic. Some geographic regions and some specialties (orthodontics, cosmetic dental, implants, etc.) may require a larger budget, but the customer value and potential is usually higher for these practices. Smaller practices in less competitive markets can get away with a smaller budget. According to industry research, a new patient is valued at $10,000 to $45,000 over their lifetime. The real value of a new customer can be even higher if the new patient refers 2 or more new patients. Acquiring new patients who refer other patients can add exponential value to your practice. When planning your marketing strategy, it’s important to consider whether PPC is a good fit for your dental practice. If your practice has a budget of $30 dollars per day, how many clicks will you be receiving and how many of those clicks will turn into new patients? Of course the answer is – it depends! For most practices, even acquiring 1 new patient a month will pay for the advertising spend. For some practices a single new patient can be worth $5000 or more very quickly and have a conservative lifetime value (LTV) of $22,000. The initial PPC spend would have an ROI of 2,200% if the LTV of the new patient is $22,000. There are several other benefits to PPC when establishing your marketing strategy. If you’re a new practice or your practice has limited visibility in the search results, PPC is an essential marketing tactic to gain community visibility and brand awareness. Many local businesses pay for traditional media marketing such as placements in magazines and on the sides of buses. Unfortunately, while the cost of these campaigns are high, 99% of people will ignore your ads. PPC advertising will put your practice in front of the people who are actively seeking a new dentist. If you are a dental practice with an established brand and search engine presence, PPC advertising will confirm your practice as a highly visible brand with credibility and trust. Appearing in the organic results and paid search results increases website visitors (click-through-rates) – and new patients – substantially. After you’ve determined whether PPC is a good strategy for your business, you’ll want to decide which keywords are most relevant to your practice and your potential patients. You can download our list here or you can build your own list at the Google AdWords Keyword Research Tool. The Google Keyword Research tool will also provide you with a cost estimate for keywords. Practice name – Make sure you bid on your brand name. You can keep that bid low but you do want to always show up in searches for your practice name. Creating special messaging for your practice keywords is a smart tactic. 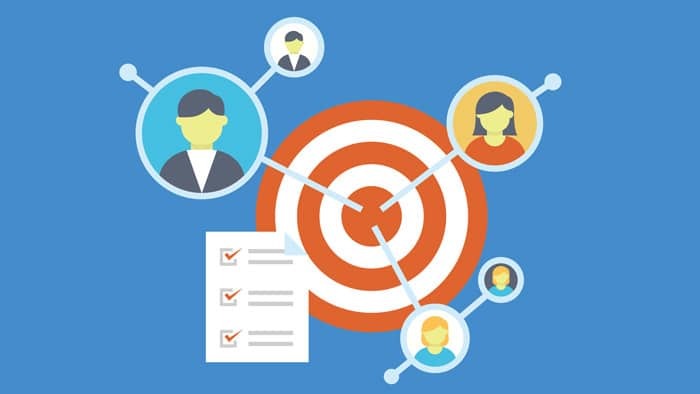 Competitors’ practice names – You’ll want to target your competitors’ practices, especially practices that may already have a lot of visibility online. You can create specific ad groups with messages that target people who might be interested in switching practices. Longtail keyword terms – These are terms that are more specific (and usually longer) than “dentist Seattle” or “local dentist”. For example, a longtail keyword might be something like “orthodontist who does Invisalign in Seattle”. You won’t get as much traffic from these searches, but these more specific terms often convert to sales more easily and are less expensive than the top keywords and keyword phrases. Geo-qualifiers – These are phrases that are specific to your geographic region. For example in Seattle, you want to target “local dentist” but you also want to target “dentist Seattle WA” “dentist 98103”. You should also target neighborhoods or common phrases that people use to search for local businesses. Some areas even use their local airport code as a geo-qualifier. 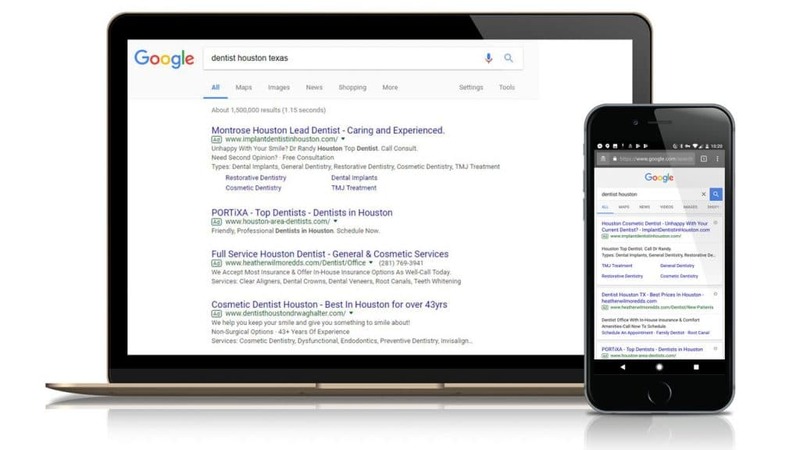 AdWords ads can be a challenge for dentists to write because there is a very limited space to communicate your message. It is important to write ads that stand out and that promote any unique value proposition that your practice may have. How do you write a great ad? Take a look at some of the effective ads that your competitors may be running. Also take a look at any of the mistakes they may be making. Look at large cities like New York or Los Angeles for examples of ads that may work well. Write ad copy that shows why your practice is different or the best choice for your ideal new patient. These types of ads can catch the eye of a new patient who’s looking for something specific. Experiment with different ad copy to see if there are versions or phrases that work better. If your practice offers any special or introductory offers, this is a good place to advertise them. These types of ads can stand out and generate traffic. Google also lets you add extensions to your entry that will help it to stand out from the crowd. Location and sitelinks extensions make your ads look bigger and more dynamic. Users can also engage easily with your AdWords promotions. Make sure you use the call extension on mobile as these generate a lot of phone calls for many of our dentists. Ultimately what most dentists want to understand is the cost per conversion, cost per lead, and the return on ad spend. There are quite a few technical activities that need to be accomplished to measure and monitor these activities. First.Dentist can set up the necessary analytics for your practice to provide you with reports that will help you maximize your ROI. While Google does provide all of this data, it can be time consuming and confusing to set it up properly. You’ll also need to get your website developer involved in setting up tracking codes and goals. Collecting data and analyzing the local competition takes time. Once it has been done, you can adjust the bids and keywords to optimize your marketing return on investment. First.Dentist can take a lot of the pain out of setting up and running your AdWords account. First.Dentist can make your campaigns more profitable, more quickly. Contact us today for a free no-obligation consultation that will help supercharge your new patient acquisition.